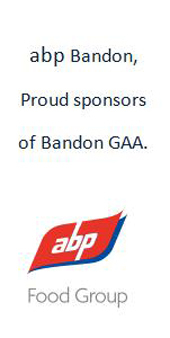 Bandon Camogie Club cater for girls to play camogie locally. In 2019, we will cater for girls born in the year 2004 up to and including 2012, split into U8, U9, U10, U12, U14 and U15 teams. New players, coaches and mentors are welcome to join Bandon Camogie Club. Club registration fee will be €50 per U8/U10 player & €60 per U12/U14/U16 player, which will include registration & insurance for the year. Camogie Training will take place weekly on Sunday mornings from 10.30am to 12noon and Wednesday 6.30pm to 7.45pm. Girls born in 2013 and 2014 will be trained using the Bandon GAA Nursery Programme held weekly on Saturday mornings from 10.30am to 12noon on the Main Pitch. Training will be provided to any parents/mentors that wish get involved in training the underage teams. On 11 December 2017 the remaining provisions of the Children First Act commenced in full. Most notably for the organisation our immediate requirements include adopting all provisions in relation to mandatory reporting of child abuse, ensuring the appointment of what can be termed key child safeguarding officers which include Designated Liaison Persons and Children’s Officers at Club and County level and also appointing the Association’s Mandated Person, we must also provide certain child safeguarding training programmes and commence the process to agree a Child Safeguarding Statement for all Clubs. New Child Safeguarding requirements that become effective as and from 11 March 2018.